I've never really been one to discuss brands, I generally think its a personal choice. You know...... use what you prefer, what you can afford and what suits your lifestyle. Just because I like the taste of something, doesn't mean that you with your personal childhood memories and other influencing factors will agree, so I have tended to stay out of it. But something happened while I was testing recipes for my cookbook which made me realise that sometimes it does make a difference. I ran out of cocoa and sent Mr Sweet off to the supermarket to pick up some supplies one of them being cocoa and I realised that if you are shopping at the supermarket you might be getting way different results when making my chocolate sugar cookies than I do. and the Woolworths no name is soooo much better in this instance. 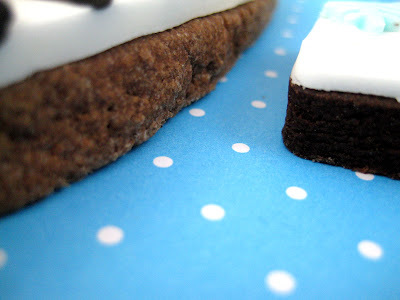 It imparts a better colour and chocolatey taste to the cookie. I normally use a pretty reasonable quality cocoa for my baking, it's Callebaut brand. I like it. It works for me and the place I pick up my almond meal and other stuff carries it. So here is another interesting picture, can you tell which one is Callebaut and which one is the Woolworths brand? Well they look a teeny bit different in the photo but I think it's the lighting, in real life I didn't know which was which. Just for interests sake, the one on the top is the Woolworth's brand. Anyway I'm going to finish this post by saying that that the cookies made with the other name brand cocoa still tasted good, just in my opinion not quite as good. Also for other purposes like drinking it may be a better option, I'm not sure. So to wrap up, buy what you like and what makes you happy, I'm just imparting a little bit of info I found interesting. I read about the homebrand cocoa on the taste forums a while ago. I was paying $$ for the green and blacks brand after a friend bought me some back from England. I agree with you, the homebrand is just as good as the more expensive ones. The discussions on taste were based on the fact it is made in Germany, and that they thought Woolies was trying to hide it by placing it in the hot drinks section rather than the cooking section. Thanks so much for this post, cocoa & my hunt for dutch cocoa(didn't want to buy from the internet) in particular has at times almost driven me crazy.The past few winters I have searched for a nice drinking cocoa to have my daughter discover recently to simply put a line/strip of cooking chocolate in hot milk & top with marsh,mallows-Oh it's so heavenly. Andrea thanks for the info, I googled the forum discussion and read it. Found a great site for Dutch food on one of the posts as well. Anonymous - yum sounds delish. I'm going to have to try out the Woolies brand cocoa. I've been using the Nestle Baking Cocoa and happy with it except I seem to go through it so quickly and getting the last bit out of the tin is really annoying. All very interesting. I'm no expert, but I do know that the colour depends on whether the cocoa has been Dutched or not. 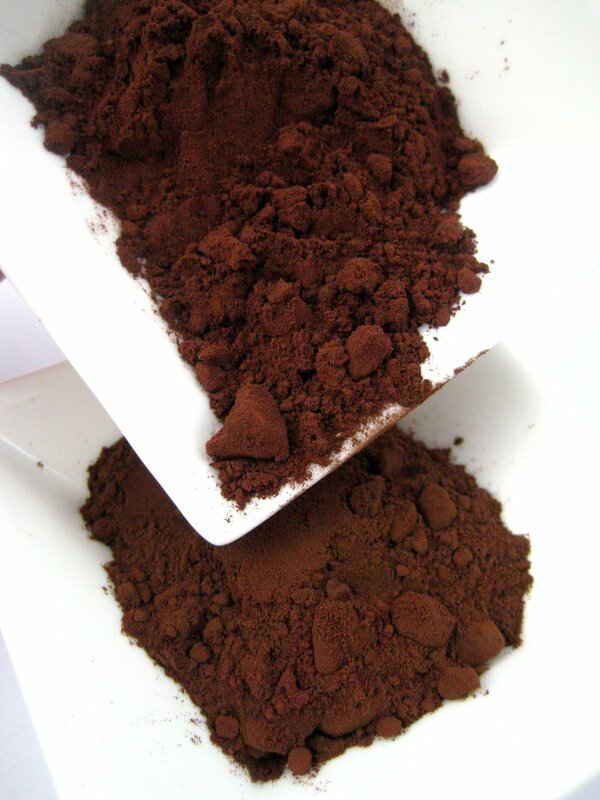 Raw cocoa is a very light brown. If it's been Dutch processed it will be dark. Raw cocoa is meant to be better for you, but the Dutched generally tastes better in cooking and as you say gives a better colour. All very difficult. I only have two options where I live and of those the G&B is by far the best and the one I generally use. Good to know for the next time we're down in Oz, and I'll send it to my Aussie in-laws for their baking goodness. Thanks! It's so vital to have folks on the ground testing stuff like this honestly without having some marketer pay them off to do it. Appreciated! Isn't that funny! Sometimes I prefer Aldi for some items-their organic range is absolutely fantastic and better than Coles's. Will give this a try when I run out of my Droste!